“Olive oil” is how we refer to the oil obtained from the fruit of olive trees. People have been eating olive oil for thousands of years and it is now more popular than ever, thanks to its many proven health benefits and its culinary usefulness. After olives are picked and washed, they’re crushed – sometimes between two big stones, but now more commonly by steel blades. The resulting paste is stirred to release the oil droplets in a process called maceration, before being spun in a centrifuge to pull out the oil and water. After the water is removed, what is left is olive oil. Only about 30 percent of all olive oil production ends at extracting the oil from the olives. Refining involved using solvents and high heat to neutralize the tastes of the oil. This allows producers to use olives that are not in the best condition, and blend from oils from a wide variety of sources (even countries) because the bad tastes resulting from oxidized olives and the mass production process are chemically removed. When you see "Pure Olive Oil" at the store, or a bottle that says simply "Olive Oil," these are refined. Unrefined olive oils do not undergo chemical refining. In unrefined olive oils, such as "extra virgin" and "virgin" olive oils, the process goes no further than extraction and bottling. Producers of unrefined olive oils need to use fruit that is in good condition and carefully manage various factors, because the oil will not be treated to chemically hide bad tastes that would result from oxidized olives or some other contamination. An unrefined olive oil that exhibits nice fruity flavors, has no taste "defects" and meets certain benchmarks in its chemical composition can be called "extra virgin." In extra virgin olive oils, the tastes of the fruit is intact, and its quality reflects the great care along the entire production process. Extra virgin olive oils have higher amounts of nutrients and therefore provide greater health benefits. Olive oil is a monounsaturated fat and the cornerstone of the famous Mediterranean diet. Most people choose olive oil because of its many proven benefits to human health. Extra virgin olive oils offer even more: a world of fruity-bitter tastes that chefs are capturing to elevates dishes to a level they never thought possible. Studies of the health benefits of olive oil consumption fill the pages of medical journals around the world. Heart disease, diabetes, Alzheimer's and cancers are among the long list ailments that can be avoided and conditions that can be improved by a diet that includes olive oil. Replace other fats like butter with at least two tablespoons of extra virgin olive oil every day, eat lots of veggies and go for a walk. The very best extra virgin olive oils in the world compete in competitions judged by panels of expert tasters. The largest and most prestigious is the New York International Olive Oil Competition, which takes place each April. The winners are listed on the official results website, bestoliveoils.com. Those famous health benefits and the flavor of olive oil depend on many factors, and there is a lot to learn if you’re interested in olive oil quality. 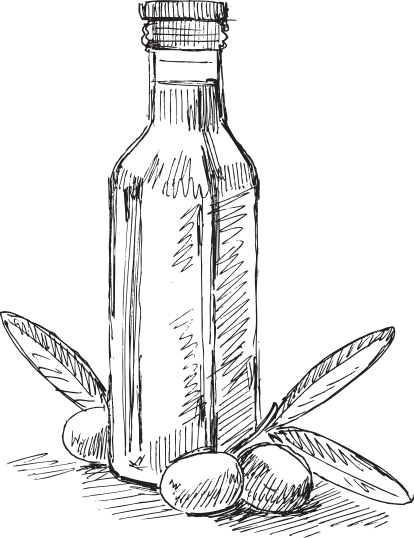 Unfortunately, you can’t trust what the bottle says, and the best way to learn good olive oilfrom bad, is to know what to look for and learn how to taste it. If you pluck a perfect olive off a tree, it will be too bitter to eat, but the less that comes between your cupboard and that perfect, bitter olive, the better. Just as they did with chocolate and craft beer, those who want to enjoy all of the health benefits and flavors of the best extra virgin olive oils should start to love bitterness. In fact, the opposite of bitterness is the taste of rancidity. Unfortunately, studies have shown most people actually will choose a rancid olive oil over a fresh, high-quality one, thanks to years of knowing little else. There are producers of outstanding olive oil in every country olives are grown, and it’s fun finding characteristics unique to the various regions oils are made. Look for olive oils that indicate a "harvest date" within the last year, or with at least a year to go before its "best by" date. Tasting before you buy and finding a merchant you trust will enhance your chance of getting your money’s worth. Choose an oil among this year's award winners of the New York International Olive Oil Competition, the world's most prestigious olive oil quality competition. Why Does Good Olive Oil Cost More? There are two 500ML bottles on the store shelf: one is priced $12.99, and the other is $29.99. How can that be? Like wine, there are a lot of factors that go into the price of a bottle of olive oil. 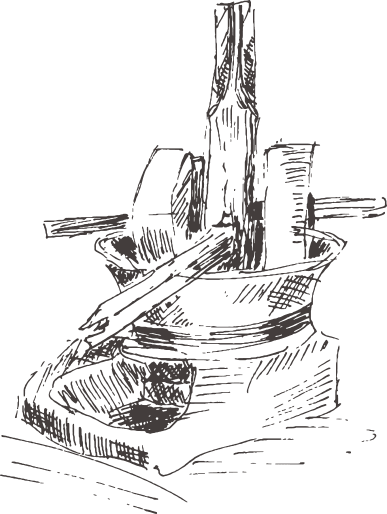 Often it is tied to the production cost: one is from a highly automated, large-scale and efficient producer, while the other might be harvested by hand from trees scattered among steep hills, for example. Prices multiply by the intervention of middlemen along the supply route. That beautiful packaging adds cost, and if you’re buying olive oil at a souvenir shop in a tourist town, you’re not just buying olive oil, you’re paying someone’s rent. There are good olive oilbuys for $12.99, just like your favorite everyday wine, but go ahead and splurge once in a while. You only live once. Olive oil makes an excellent choice for nearly every kind of cooking. Just remember that if you choose to heat an extra virgin olive oil, you will lose its flavors. That’s why some chefs choose lower grades for cooking, because some (but not all) of the value that you pay more for in an extra virgin olive oil "evaporates" once it has been heated. Still, olive oil is versatile and far healthier than other cooking oil choices for baking, frying and just about everything in your kitchen. You can keep unopened olive oil in a cool, dark place for up to two years (high quality olive oil will last longer than one that wasn't great to begin with). Once you open the container, the oil begins to degrade much faster. A good rule of thumb is to use it within a few months after opening. Keep the bottle tightly capped and away from heat and direct light. The best strategy is to use olive oil often, and go through it quickly. 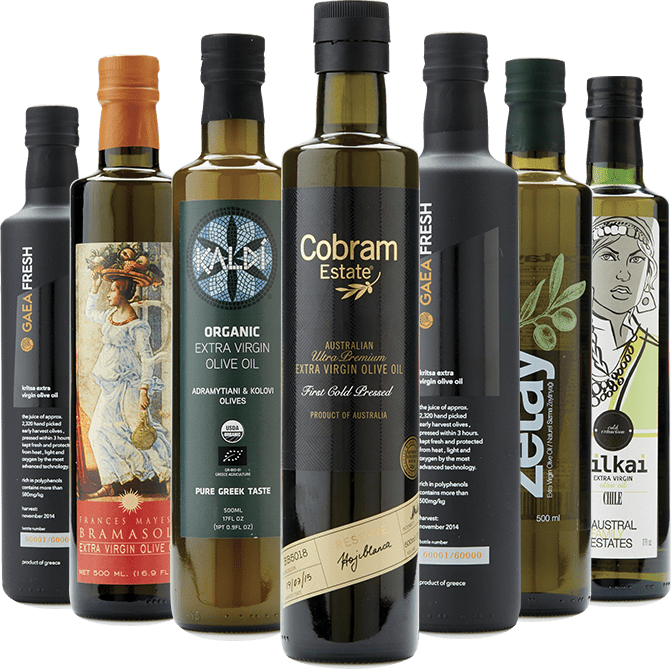 With more than 1,000 olive cultivars, each with its own unique taste characteristics, finding the perfect olive oil to pair with your dish can be a challenge for home cooks and professional chefs alike. That's why Olive Oil Times has developed the Olive Oil Food Pairing App to take the guesswork out of finding the right olive oil among this year's NYIOOC award winners to enhance your culinary creations. Just click on the food you're preparing, and let our algorithm do its work, searching through this year's best extra virgin olive oils to find you the perfect match.